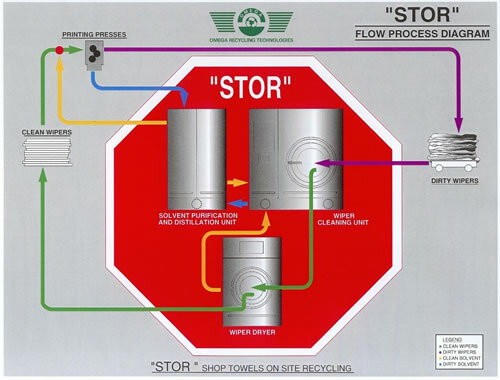 The STOR system will reduce purchases of new solvent by 70%, reduce disposal of waste solvent by 90%, and eliminate the need for an outside laundry service. The STOR system was developed to recover solvent trapped in cleaning rags from processes such as cleaning printing presses. 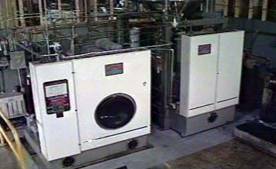 Waste solvent is purified and returned to production with the added benefit of cleaning the soiled rags. Why use a Maratek STOR ? The STOR system is economically viable, with an extremely quick payback. For any industry using solvents for cleaning purposes and goes through 10,000, or more, rags per week, click here for a complete payback analysis. Each STOR system is designed specifically to tailor the needs each application, so integration and performance are guaranteed.